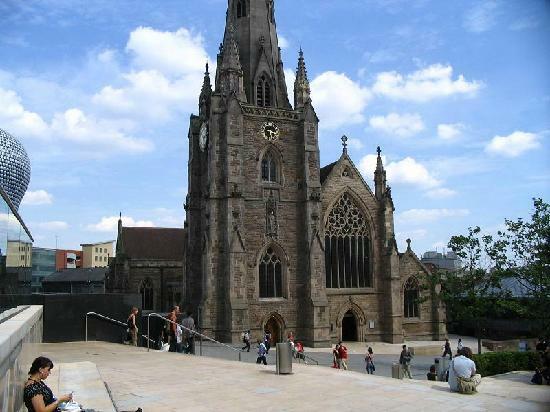 On Thursday 18th April one of the saints of St Martin in the Bull Ring died. Her name is Muriel Dewick and she was a remarkable woman. In a week when the nation and even the world focused its attention on another remarkable woman, Margaret Thatcher (whatever you think of her politics she was remarkable!) it is worth reflecting on what we think is remarkable or even what we think a saint is. Sainthood isn’t really about perfection. Muriel was not perfect. She was often quite stubborn, and had a complete inability to throw stuff away. Her house was full of papers Which meant she wasn’t the most organised person in the world. But Muriel was a servant hearted follower of Jesus Christ who had a passion for mission, a deep prayer life and a genuine interest in how you were. Increasingly in the last few years of her life she was unable to move around freely. Her body was slowly seizing up yet her mind remained sharp, focused and centred on her lord. What was remarkable about Muriel was she never moaned (something I could learn a lot from!) and her willingness to serve. Not for her the concerns of being famous, renowned or even honoured. For Muriel it was simply about doing what God had called her to do no matter what the cost, her age or her infirmities. My fear is such dedication is becoming less and less in church of today. I know that my ministry has been supported in prayer by faithful people like Muriel many of them being my seniors and many of them having been discipled in their youth. Are we creating these servant hearted prayer warriors for the coming years because we will need them more than ever as we continue along the road of scientific materialism and tabloid morality. i’m not sure the evidence is encouraging. Too many people in our churches do help out when it fits with their social diary and if it meets their needs. Muriel would never have seen it like that. If you are needed to serve you serve and serve and serve till the good Lord says otherwise. May God raise up a new generation of Muriel’s even if they are stubborn and disorganised. We will miss her terribly but heaven has a new remarkable saint who can now really get into service.